Posted on April 29, 2013 by bestteacherblog Posted in My Thoughts, Teachers Pay Teachers	. I learned about Teachers Pay Teachers in July 2012 and finally got up the courage to start selling in October. I paid for a premium account after a couple weeks and I’m so glad that I did! You really start to see your earnings add up when you’re making the higher percentage. It’s totally worth the fee. The feedback system is one of the most intriguing features of TpT. Your goal should be to create the best product that you can so that your customers want to rate it with four stars! Quality products receive a lot of ratings and those ratings assure shoppers that your product is worth buying. Think about where your TpT store is right now. Are you a new seller with one priced product? Have you made it through your first quarter yet? Come up with goals for yourself that you can realistically meet, that you can describe specifically, and that you can track! There are hundreds of sellers who actively participate in the forums. They’re readily willing and able to answer questions that you have with their opinions (and experiences) as teachers/customers AND as sellers. Don’t be afraid to offer your voice, too! Every response counts. Pinterest is one of the best (if not THE best) marketing tool available to TpT sellers. Make sure you sign up for an account and get pinning! It exposes your products to thousands of teacher customers who pin and repin your materials for the world to see. The best way to get exposure on Pinterest is to join collaborative boards that are related to your products. There are tons of great boards you can join—check out the sellers forum regularly to see which boards are looking for contributors. Make your products stand out from the crowd by spending time on your product covers. You want them to be eye-catching! I suggest using 1-2 fonts, sticking with large text (for readability), 2-3 colors, and images that display the best features of your product. I think this is one of the biggest mistakes that sellers make because I see tons of ambiguous product titles that don’t describe what the product is at all. When you’re creating a product, think about what kind of terms you would search for in order to find your product. Ask yourself: “What is your product?”, “What topics are covered?”, “What grades should it be used for?”, etc. Try to work these answers into the paragraphs of your product copy. I think it works a lot better than including tags at the bottom of the page. Customers like to see that you’re responsive. They want to be assured that if they have a problem (Heaven forbid), you’ll be there to assist them. Providing great (and visible) customer service is key to online selling! 10. Appreciate each sale, no matter how small! Remember that each penny that you earn is a penny that you didn’t have before. It’s all bonus on top of your [undoubtedly] wonderful teacher salary! Be thankful for the great opportunity that TpT is providing you, even if it your products aren’t selling as well as you’d hoped yet… “Yet” is the key word! 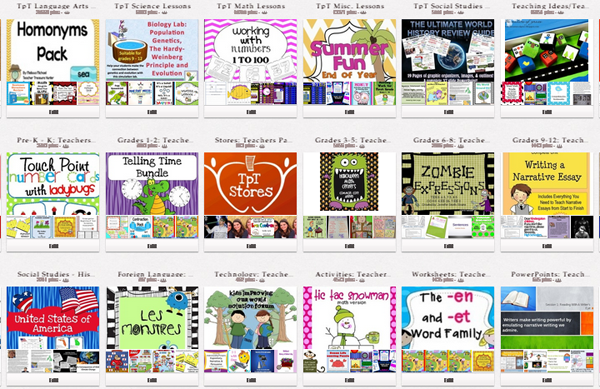 Visit my TpT Sellers Resources page for links to other great resources by veteran Teachers Pay Teachers sellers. I’ll update the page as I find new content, so, check back periodically! 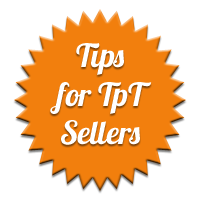 What resources have you come across in your search for Teachers Pay Teachers seller tips? Leave links in the comments below! Posted on April 26, 2013 by bestteacherblog Posted in Elementary, High School, Middle School, Online Resources	. If you’re always on the lookout for new ways to integrate technology into your daily classroom routine, check out these quick and easy-to-use web 2.0 tools for teachers that you can start using today! They don’t require you to be part of a fancy 1:1 school or controversial BYOD program—all you have to have is a computer with an internet connection (and a semi-updated web browser, of course!). The barriers of entry are low and some of the tools only require you to create an account. Some don’t require anything at all! Also, they’re all very user-intuitive so you can jump right in. This popular social bookmarking tool is really handy if you’re the kind of teacher who likes to do web research at home. Once you find something worth showing to your students, you just “bookmark” it using Delicious, and it’s stored in the cloud. You can access the link from your school computer and don’t have to worry about remembering long URLs. The hottest new social network, Pinterest, is perfect for tech-savvy teachers! Pinterest allows you to keep “boards” where you store picture-based links to different web pages. There are TONS of teachers on Pinterest who post all kind of creative teaching ideas ranging from classroom décor, to teaching strategies, to activities. If you’re already a PowerPoint user, SlideShare will be a breeze for you. You can upload your ready-made presentations to SlideShare and view them on your computer at school. Also, SlideShare makes it easy to share your presentations with your students by sending them the SlideShare link or by allowing you to embed it into your class blog. Use Bubbl.us to quickly brainstorm ideas on your interactive whiteboard. With Google Drive, you don’t have to worry about which flash drive or file folder you saved that word document to! You can use Google Drive’s versions of Word, Excel and PowerPoint and store everything in the cloud! They’ll be linked to your gmail account and accessible from any computer with an internet connection. You can also share your documents with others and work on them in real time together! No more sending your students obnoxiously long URL links! 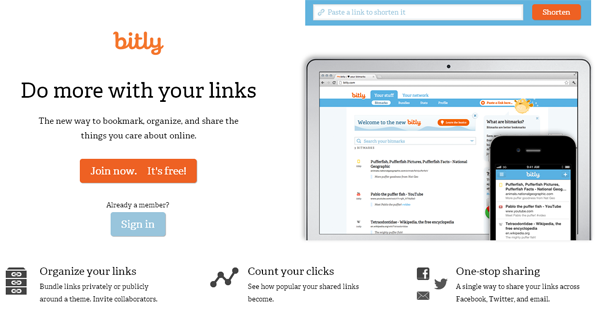 With bitly, you can shorten them to just a few characters and track how many times they’ve been clicked. It’s a sneaky way of knowing whether or not your students actually did the reading! Mwuahaha! Are you sick of showing YouTube videos with a bunch of garbage before and after “the good part”? If so, you can use TubeChop to nix all the excess! This neat web 2.0 tool allows you to upload Microsoft Office and PDF documents and convert them into HTML5, giving you the ability to add easily access and collaborate with your students. Socrative is a student response tool that lets you create educational exercises, quizzes and games that can be accessed and completed via smartphones, laptops and tablets. It’s one of my favorite web 2.0 tools for teachers! The avid lecture outliners will really appreciate this tool. It allows you to create your own online journal. All of the entries are private by default, but you can easily share your notes with your students. 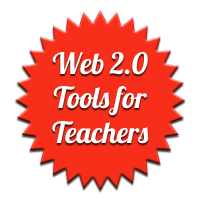 What web 2.0 tools have you used in your classroom? Which is your favorite? Please let us know in the comments below!